Detailing Chemicals - Finding the Right Auto Detailing Products for Car Detailing. In the science of car painting and detailing, dirt can be classified as organic soil, non-organic soil and petroleum soil. Not much else exists in the car world. If you can figure out the type of soil, you can select the proper cleaner. With the proper cleaner, 99% of all stains will come out. Organic soil is anything that contains carbons. This includes all proteins, animal fats, body oils, mold, yeast, bugs, bacteria, animal and bug excrement, and carbohydrates. Those chili-cheese fries you spilled on the front seat are a classic organic soil. Non-organic soil is soil that does not contain carbons. This is most commonly found on the exterior of a car in the form of water spots and acid rain spots. Scale and lime deposits are the most common form of non-organic soil. Petroleum soils are substances that do not contain water and will not mix with water. Petroleum soils do not have a pH factor. Petroleum soils include common chemicals like motor oil, grease and road tar. By the way, chewing gum also falls into this category. The car painting and detailing industry is full of chemicals for cleaning. There is no such thing as a do-it-all cleaner or complete car wash products (no matter what you saw on some crazy infomercial!). It simply does not exist. Detailing chemicals are mixtures of different ingredients formulated to do a particular job. The most common types of chemicals include surfactants, solvents, wetting agents, saponifiers and chelators. 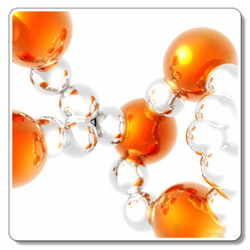 The word surfactant is another word for a soap or detergent. Surfactant molecules are created with two compounds. One molecule is attracted to the soil itself, and the other is attracted to water. The chemical compound that's attracted to water is called a hydrophile. Its job is to surround the soil. Likewise, the chemical compound that's attracted to soil is called a hydrophobe. Its job is to break soil into smaller pieces that the hydrophile can surround and float away. The term pH is a measurement of the relationship between hydrogen ions and hydroxyl ions. When you have more hydrogen ions than hydroxyl ions, you have an acid. Likewise, if you have more hydroxyl ions than hydrogen ions you have an alkali. Any solution with a water base has a pH measurement. The pH scale runs from 0 to 14. The first half of the scale (0.0 to 6.9) represents acids, and the second half (7.1 to 14.0) represents alkalis. Pure water is neutral and has a pH of 7.0. If a substance does not contain water (mineral spirits is an example), it does not have a pH. If you know the pH of a cleaner you will know if it is acidic or alkaline. This will help you know where to use the cleaner. For example, a carpet shampoo would have a pH around 8 or 9, whereas a wheel cleaner would be between 12 and 14. Use the wheel cleaner on your carpet, and you'll have a real mess. Organic soil is cleaned with alkaline cleaners. Non-organic soil is removed with acids. Petroleum soil must be removed with a petroleum-based cleaner. Never use a cleaner that is too strong for the soil you're trying to remove. When in doubt, test a new chemical on a hidden part of the surface you want to clean to verify compatibility. This chapter has given you a very small glimpse of the hundreds of auto detailing products in the car care industry has to offer. Good detailing requires a little knowledge of chemistry. I hope I have provided you with enough information to understand the basics of car painting and detailing. Please beware of gimmicks and "snake oil". Unfortunately, mixed in with many great products are an equal number of bad products with fancy marketing. Hype abounds in the detailing chemicals and supply industry. If it sounds too good to be true, it is. Don't be a victim of the car salesman trying to sell you a lifetime sealant and interior protection for $300 to $600. Do it yourself with good products and save.